I normally only use Gold Foil for stamping, but I am really impressed with the finish it gives. Foil effect polishes are notorious for this, but there were hardly any brushstrokes. Over my normal basecoat at the moment of Nailtiques, opaque in one, but I preferred the finish of two coats. I’ll have to pick up a backup! I stamped the design inspired by Klimt’s Portrait of Adele Bloch-Bauer, and I tried to reference the additional colours from Gustav Klimt’s work. Primarily white, but I was drawn by the scarlet red squares to the left of her face. Using the tiny Winstonia nail art brushes, I filled in a few of the squares. Only a few on each nail (it was late!) but you could do as many as you want. The dress in the painting actually has a lot of white and blue blocks, so there’s plenty of scope to change it up. I sealed the design in with a coat of Seche Vite, and it was all done! The history of this portrait has a fascinating history, including what inspired Klimt and his extensive preparatory sketches. The two portraits of Adele were stolen by the Nazis, but they were eventually returned to her family. This design is the perfect way to ease into Christmas colours, before the full on snowflake, sweater, and reindeer nails come out. The gold, red and white is a nod to the season without going overboard! I’ve been eyeing that plate for everyone. I love Klimt and I love how you created this mani! I can definitely recommend this plate – all of MoYou London’s are etched beautifully and easy to pick up the images from the plates. This looks amazing! 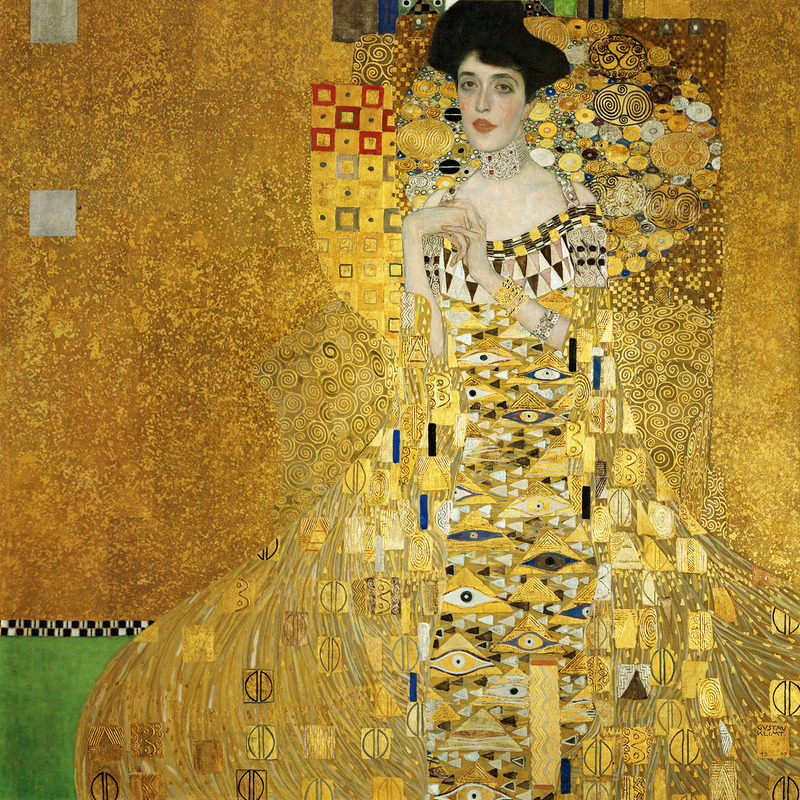 Have you seen the movie Woman In Gold about this portrait and it’s history? If not you really should. It’s a great movie. This is seriously gorgeous and definitely reflects his art! Thank you Jessalyn, I’m glad you can see the inspiration!